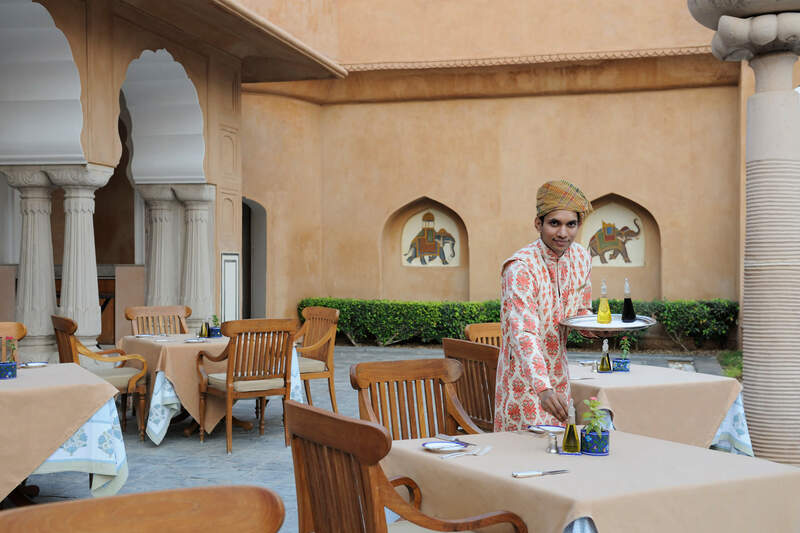 The Oberoi Rajvilas, is situated in the “pink city” of Jaipur, Rajasthan. Rajasthan is to India what Andalucia is to Spain; a snapshot of how people imagine the whole country to be. This is the iconic land of saris, turbans, maharajahs, temples, snake-charmers; intriguing bazaars, exotic spices, fragrant breads, exquisite print fabrics, vibrant colours, welcoming smiles – yes: Incredible India. 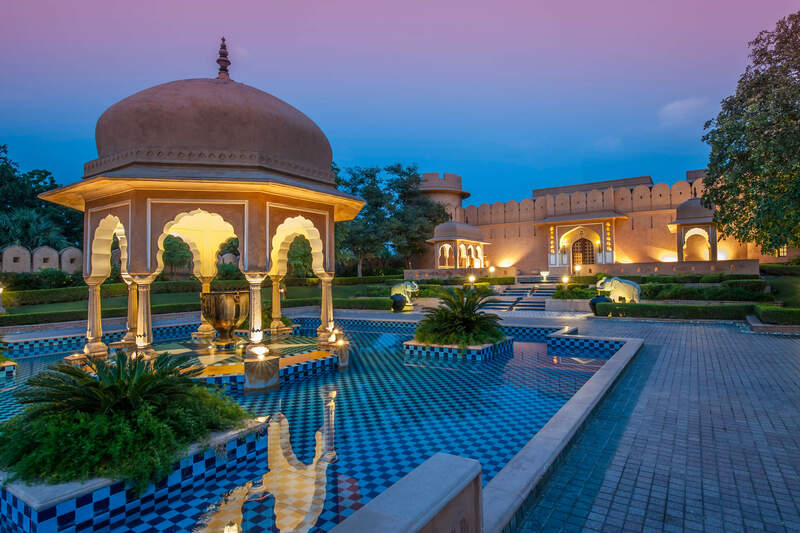 The architecture of the Oberoi Rajvilas recreates the magnificence of princely Rajasthan, starting at the fort entrance with its trickling fountains, arches, turrets and pink stone façade, which magically transports the guest back in time. 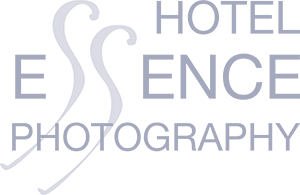 This supremely elegant luxury hotel is located in 32 acres of magnificent landscaped gardens, where colourful tropical birds sing, and staff in traditional attire almost float around the gardens and pool; they even have a book documenting the birds which appear in the garden. In the inner sanctum of the fort itself, you will find 54 deluxe rooms and villas (villas have private heated pools) and 14 luxury tents. If camping makes you cringe, think again: imagine clawfoot free-standing bathtubs, your own private garden, alfresco breakfasts, butlers, king-size beds, Burmese teak floors, embroidered interior canopies, rose petals and candles. A tent fit for a king. Perfectly positioned in the centre of their grounds, as a blessing itself, is a centuries-old temple, where Aarti (a Hindu religious ritual) is held twice a day. The hotel offers traditional fabric printing activities for children, as well as classes on how to create the most elegant decorations with petals floating on water, as seen in the finest hotels and spas. 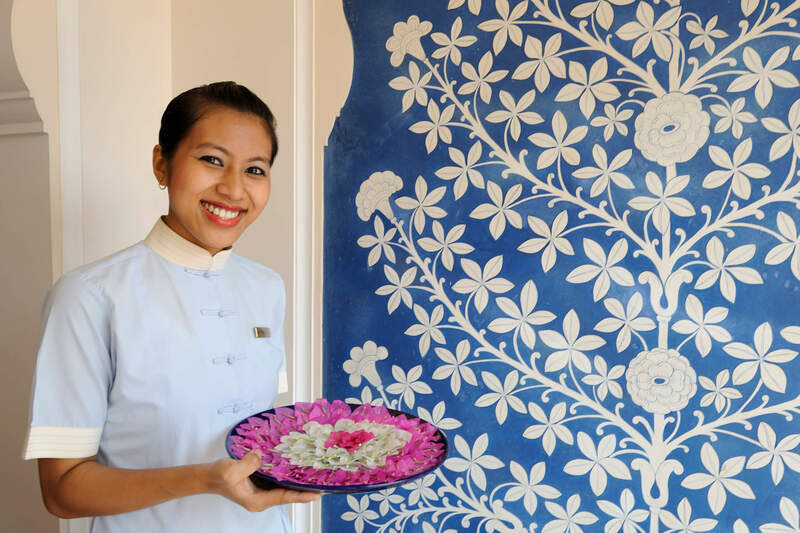 With its superb restaurants serving Indian and international cuisine, and a first-rate holistic spa with everything from traditional ayurvedic therapies to rejuvenating rituals, you may never want to leave. 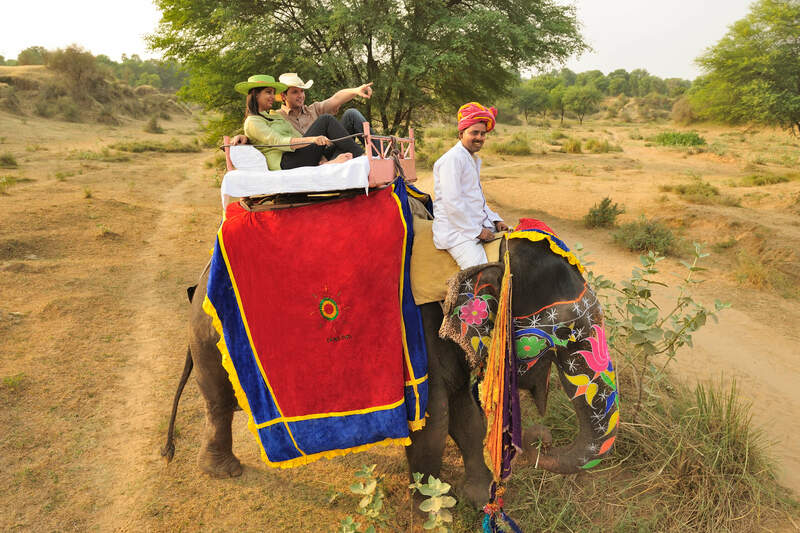 However if you do manage to drag yourself away, an elephant trek is most certainly the way to go. 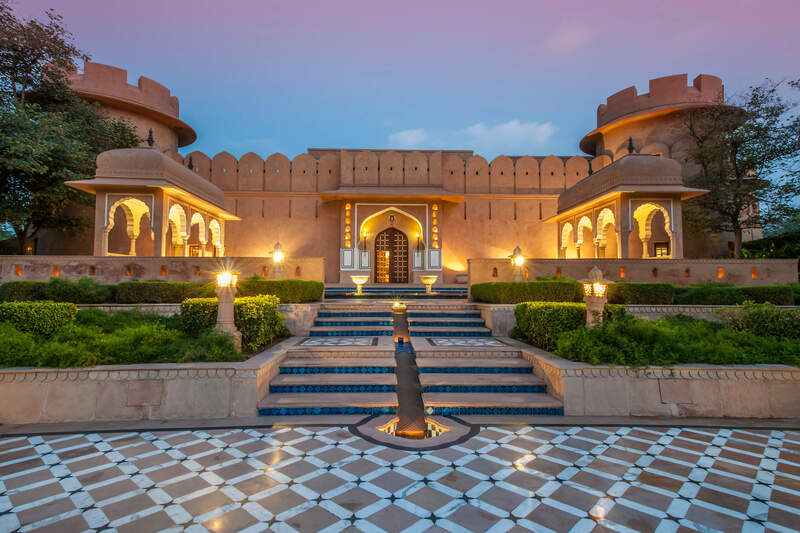 The hotel offers a leisurely ride through a local village and the surrounding countryside, which culminates with a gourmet picnic at the magnificently restored Naila Fort, a private property owned by the Oberoi family.